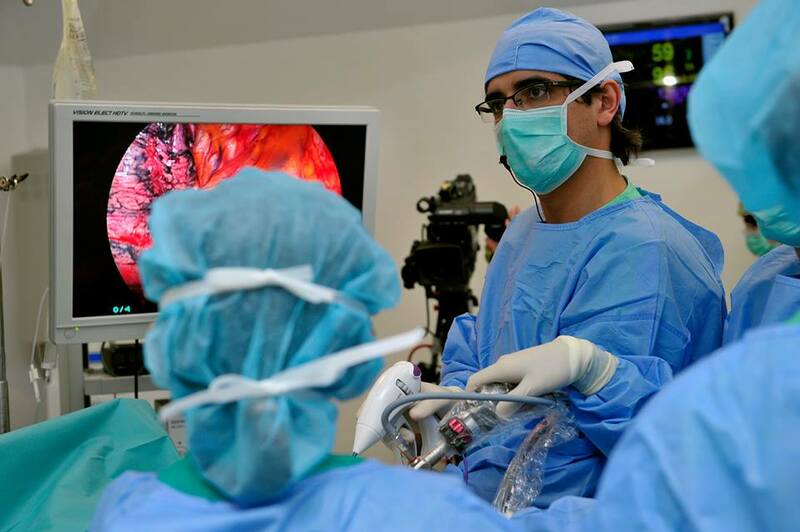 Dr. Gonzalez Rivas and the Thoracic Surgery Unit in Coruna, Spain are hosting the “International Symposium on Uniportal VATS” this week (February 26th to 28th, 2014). While the in-person, on-site event is limited to just 100 attendees, the event will be offering real-time live streaming surgery for viewers worldwide. With registrations from around the world, Dr. Gonzalez Rivas estimates that thousands of pairs of eyes will be watching; from Australia to Saudi Arabia, Hong Kong to Colombia, Brazil to Russia, and the United States. If you’ve ever wanted to learn more about single port VATS, this is the time to find out. Livethoracic.com – link to the event and on-line registration. Registration is 500 Euros. Article at Examiner.com with more details on this event.